I may have been quiet here on the blog, but the dye pots have been very busy! 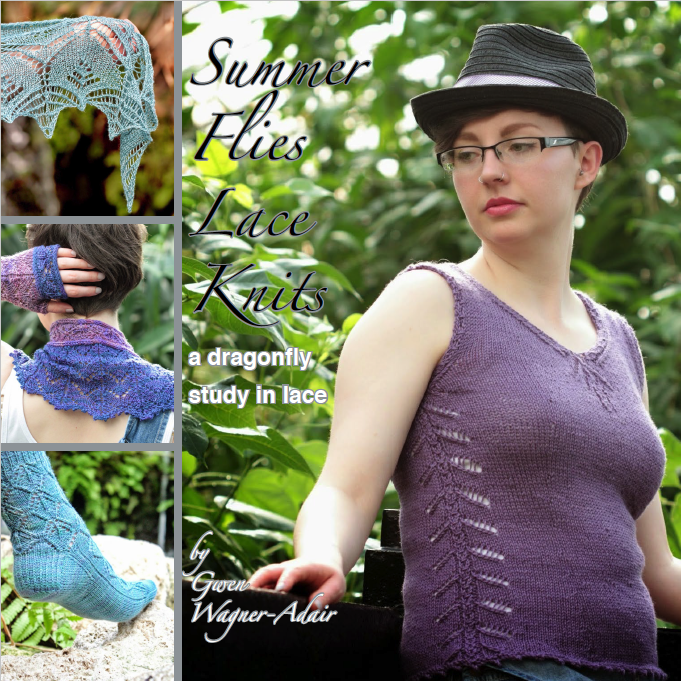 I recently worked with Leeds-based knitwear designer and workshop tutor Gwen Wagner-Adair (Petitchoufleur Knits) on her Summer Flies – A Dragonfly Study in Lace pattern collection. I dyed a selection of yarn which was used by Gwen in the four patterns that make up the collection. From left to right we have Dragonfly Pink, Azure Damsel, Anisoptera, Demoiselle (all BFL 4ply), Damsel (55% BFL, 45% Silk lace) and Amethyst (BFL DK). The yarn is all available as usual at Sylvan Tiger Yarn on Etsy and the pattern collection is available as either a digital download or hardcopy on Ravelry. I’ll also have individual patterns available at Yarndale in Skipton 26-27 September. 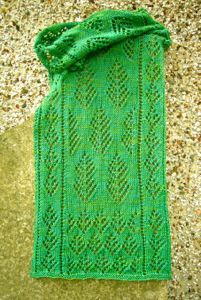 Gwen and I are hosting a little KAL (knit-a-long) for the pattern collection, Gwen says “If you’ve not done a KAL before, in a knit-a-long you get the benefit of a wide community all knitting the same patterns (or from the same type of pattern, or collection of patterns, as in this case). You can have discussions in the forum here, post questions and progress photos and you get the benefit of community support and encouragement. Katie and I will be haunting the forum too to answer any questions, cheer you on, and generally enjoy seeing your projects unfold. And, for a chance at a special little extra something, upload your finished item as a project on Ravelry with a link back in the KAL forum. Gwen and I will pick two random winners from the KAL to receive either a skein of Sylvan Tiger Yarn hand-dyed wool or one of Gwen’s patterns. 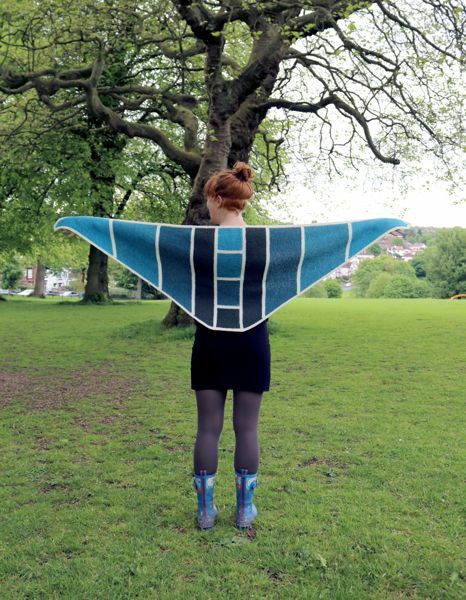 I’ve nearly finished my Anisoptera shawl, just the cast off to do then blocking so I’ll share that here soon. Pop back here soon and I’ll hopefully have an interview with Gwen exploring her design inspiration and process. This entry was posted in Uncategorized on Thursday 30th July 2015 by sylvantiger.